Thoughts: Te Deum was quite the nice piece with great dynamics - a march to a polyphonic vocal. It was fine and good, but also didn't have any explosions. Thoughts: This was a bit powerful. Fine early opera. Thoughts: These were good. Some better than others. Some pretty boring/mundane/the same old same old. But something occurred to me that it seems like pre-classical era, music often was the "study" of math nearly... the focus on the "chord" made... is super focused. It's both cool and a bit like putting a dogs nose in piss. Purcell's second volume of sonatas, the Ten Sonata's [sic] in Four Parts, for two violins, bass viol, and continuo, appeared in London 1697, published by the successors of John Playford at the instigation of Purcell's widow. Manuscript evidence shows that several of the works in the Ten Sonata's [sic] in Four Parts were composed in 1680. Purcell's selection of instruments derives from the Italian "trio sonata," although in Purcell's pieces we find a bass viol part that has a measure of independence from the bass line of the continuo, generally played on an organ or harpsichord. Purcell leaned toward Italian models in the naming of movements and the expressive nature of the violin writing, but his use of counterpoint is a Northern European trait, of which he was a master. Contrapuntal devices, especially imitation, appear usually in the fast movements, while the slower movements tend toward the more lyrical, expressive writing we hear in many Italian slow movements for strings. Purcell insisted that the alto voice of an ensemble work should show just as much independence as the highest voice, for it is just as important. Purcell demonstrates this in some of the Ten Sonata's [sic] in Four Parts by giving imitative lines or wholly different material to the second violin. But through nearly all of the second movement of Sonata No. 9, the second violin parallels the first at a third below. Although it may seem that this makes the second violin subordinate to the first, it actually gives them equal roles. The single-movement Chaconne (No. 6) stands out among the set, in part because it is not a multi-movement work and thus should not have been included. Nevertheless, it is one of Purcell's best and most substantial instrumental works. The Chaconne's striking sound results from Purcell's frequent use of double suspensions and suspensions that resolve by leap instead of step. 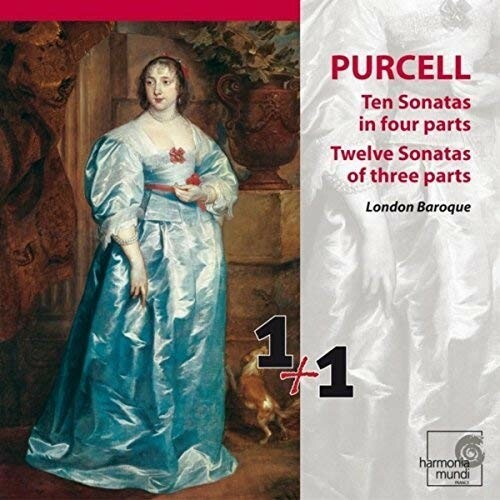 Chromatic passages and moments of syncopation abound as Purcell employs every harmonic and imitative procedure known to composers at the time while producing, through rhythmic surprises and unusual treatment of non-harmonic tones, a very non-Italian work that is intensely personal. As in Purcell's 12 Sonnatas of III Parts, published in 1683, Arcangelo Corelli's (1653-1713) passionate grave style informs the slow movements of the Ten Sonata's [sic] in Four Parts. The best example of this is the first movement of the third sonata of the set with its Phrygian cadences, harmonic forward impetus, a clearly subordinate bass part, and the occasionally overlapping violin lines. Evidence suggests that this is a much later work than most in the set. It was probably the unmistakably English qualities of these works that led Corelli to dislike Purcell's sonatas. Purcell's collection of his 12 Sonnatas of III Parts was dedicated to Charles II and published by the composer and John Playford in London, June 1683. Purcell had been an organist at the Chapel Royal for about a year at the time and since 1679 he had been organist at Westminster Abbey. It was around this time he began composing the sonatas for string instruments published in 1683, most of which were written in 1680. A second volume of sonatas appeared 1697, published by the successors of Playford at the instigation of Purcell's widow. On the title page of the Sonnatas of III Parts, the sonatas are said to be for "Two Viollins and Basse: to the Organ or Harpsecord." This was the "latest" combination for which to compose such pieces. In the preface, the publishers include a statement declaring that English composers "should begin to loath the levity, and balladry of our neighbors . . . " meaning the French. The Preface also tells us that Purcell at first intended to publish the sonatas without a continuo part, which would have been unusual. Furthermore, the bass line of the published continuo part is frequently different from that of the bass viol, which means that additional composition was necessary before publication. In the sonatas, as opposed to his fantasias, Purcell modeled his compositions on Italian works. To demonstrate this, he used Italian tempo indications such as adagio and allegro instead of "slow" and "quick," which appear in the fantasias. The Preface includes definitions of the Italian terms and notes that the composer, "has faithfully endeavour'd a just imitation of the most fam'd Italian masters. . . . " Purcell's sonatas, however, are very unlike much of the "trio sonata" music emanating from Italy at the time. They are more sober and studied and have very little dance music, which permeated Italian violin pieces. Counterpoint is ubiquitous in the Sonnatas. We find many imitative passages, including some with imitation by augmentation. The Italian "singing" style predominates and the writing for the violin is sober and completely idiomatic, taking full advantage of the instrument's expressive capabilities. The fast movements are generally fugal, with the bass instrument taking a part in the exposition of material, such as in the fugal movement of the Sonata No. 2, in B flat major, in which the voices enter with their rising triad from the top voice down to the bass. Here, we also find the continuo bass part diverging from the bass viol line because it is not part of the fugue. The busy, learned counterpoint in the fast movements points more toward English violin fantasies than toward Italian music. Also, in the Vivace finale of the same sonata we hear numerous augmented intervals and tasteful cross relations that were an English predilection. The Italian style is more evident in the slow movements, influenced by Arcangelo Corelli, in which the passionate, occasionally interweaving violin parts are supported a simple bass. There is often a sort of sterile quality that seems to come with the mathematical precision that characterizes a lot of baroque music. But sometimes there is genuine inspiration tucked into all that pedantry. Bach is certainly an example. But yes, it does seem more common in subsequent musical eras. Well and I don't mean it in a full of themselves look at my shredding skills kind of way. I'm seeing it as a true study of space and sound and that being a focus for them isn't the same as it would be today. For them it was more scientific than it was badass. The classical era (not classical music) seemed to tear that down (and it's actually why I love Vivaldi so much because while he wasn't THE most innovative of the time, he feels to me (not saying this backed with any facts) the most moved by emotion like Mozart and Beethoven, whereas many of the Baroque composers were mathematical masters, but with a passion to it that I don't see a real connection to prog/metal of today at all. Sure they are often pushing some traditional musical boundaries, but they likely don't know how to spell the name Guido. Thoughts: Incredibly sad the Notre Dame caught fire today (where this was recorded). This is a great best of collection. I'm tired, so that's all I can say right now. 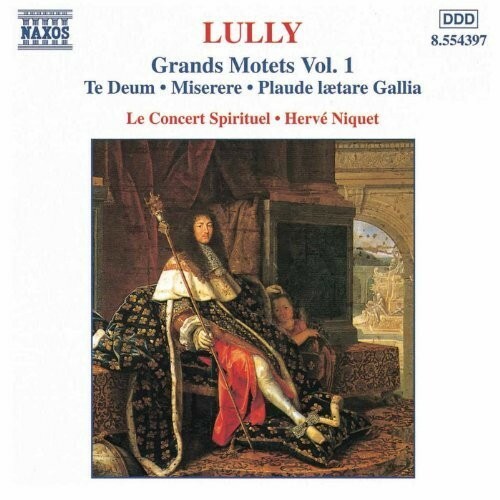 The splendour of Lully's ceremonial sacred music for the 17th-century French court is magnificently captured on this first volume in a series of his Grand Motets...excellently focused but with a spaciousness that adds to the thrill of the choral and solo singing. Thoughts: These seemed like some of the more mature compositions I've heard so far. Purcell is impressing me so far, having spent little time with his music. Purcell's fantasias are relatively early works, apparently written largely as contrapuntal studies. Unlike the sonatas, they were never intended for publication, but they do represent some of the most complex music written for viol consort. By Purcell's time, music of this type was no longer a living tradition, and in fact his In Nomines were the last examples written before the 20th century.